Allow us to introduce a new series, Fear Infection by Ochazuke Nori. 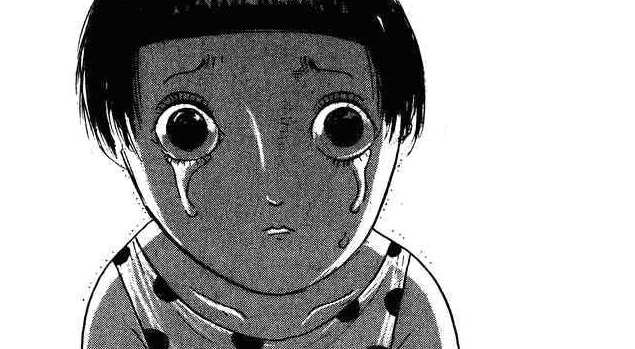 Poor kid.. i really thought she just murdered her family.. but to think that she murder herself… aww man, that is a twisted ending, right there. poor teacher, she did nothing wrong to see all those scary things going on in someone's house.. Damn that was intense. And sad too. So is that the story behind Joseph Apfelböck, I wonder? Its good but a sad story..Thanks for translating..
Of the recent updates that aren't Fuan no Tane, I think this is my favorite. The art is unique, but it works well and doesn't look too cartoonish. The diary scenes were very suspenseful. Thank you for this! That was mostly sad, just sad really.